While these features may not all be non-negotiable (depending on your company size, number of employees that need to be tracked, and individual trainings, etc.) these are all nice to have and worth the cost that you will likely incur over and above what you would get if you, say, are building out your own system to track training. If you’re just beginning, it may not be necessary to dive straight into a robust system, but you will likely find yourself in need of an upgrade to a more feature and function-rich system. The benefit of tracking these types of certifications, trainings and more on your own is that once you upgrade, all your data will be available to import into whatever system you end up choosing. It likely goes without saying, but creating reports from scratch can be a laborious process, not to mention - may not capture all the data you are looking to analyze. This is where a training database can help immensely. 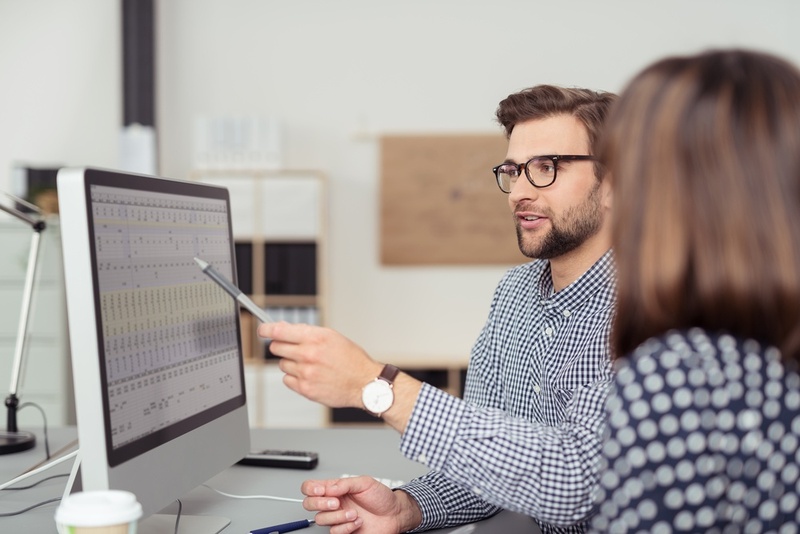 Designed to capture data and report it back in a way to ensure that not one piece of vital information is missed, training databases save more information than any spreadsheet software is prepared to collect. These reports are configured in a way that is easier to analyze, not to mention, show trends and data that you might otherwise not have thought about to help make better decisions about your training process, or the necessary follow up steps to ensure higher compliance. Google Drive doesn’t do this, neither does Excel, but setting up automated reminders within most training database systems is easy and usually requires the click of one button. From there, students and employees can be reminded when they have an upcoming training, lessons are due, and managers can be alerted too. This ensures that trainings will not be missed or certifications will not go expired - thus increasing compliance and accountability across the organization. These automated reminders take the place of the usual back and forth between the administrator of training and employee who is supposed to receive the training, missed class dates, and really, any excuse that may arise. With reminders set up well in advance of when the class or certification is supposed to be issued, there is less complication for all involved. This is a huge benefit to training database software. Another huge benefit of training database software is the use of an employee portal. This allows employees to sign into their own platform to upload trainings or certificates, verify training, communicate with teachers/managers, and ensure their training is up-to-date without the access to other employee’s personal information. With spreadsheet software, controlling access can be restrictive and time consuming. When each employee has their own log-in, that takes the burden off the administrator to answer emails about certs and training and instead allows the employees to take a little bit more ownership and responsibility. While this is not an exhaustive list of all that you can expect from a training database software provider, these three features and functions are something that may be missing from your current database especially if it was built in house. These three features are reason enough to check out a training database vendor and look to increase accountability and compliance across your organization.